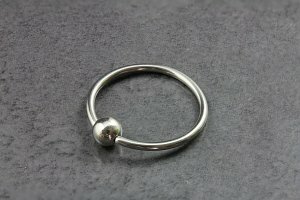 The 8g Segment Rings are ideal and best suited to most piercings. 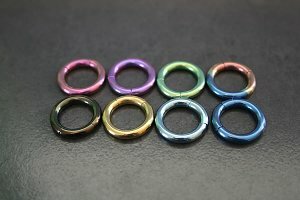 Available in nine (9) different colours, there is a colour to suit all personal styles. 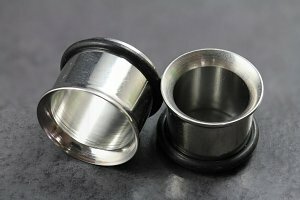 Designed to be easy to open and insert into the piercing, they are a good fit to be able to be opened with Ring Opening Pliers. 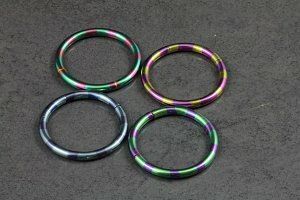 Crafted in Titanium they are exception quality, with a high polish and superior shine. Price is for one, if your require two please purchase a pair. 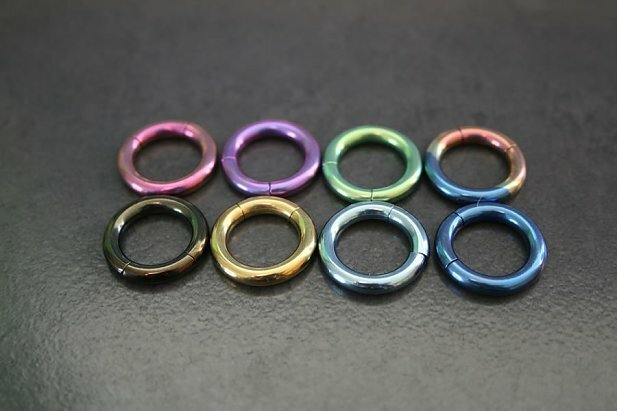 "Just what I wanted The rings are a tight fit, and need the pliers to put on or take off Delivery was fast, and for the price this is awesome value Id recommend these guys "
"real pretty but impossible to close. probably need ring opening pliers but the ring is so thick it probably wouldn't do anything." "Exactly what I wanted but still haven't figured out how to work it?! Would be good if your website had an "Instructions" page"